Ten Fifty Eight is a new facility and very modern and elegant. We will handle every detail leaving you to enjoy this very special day! Our facility fee includes complete set up and clean up, linen table covers and linen napkins (in your choice of colors), china glassware and silverware, unlimited soft drinks and juices for every guest all night long, the premium coffee, hot chocolate, tea cart, bartenders, cake cutting, full use of the decorating room, the Bridal Suite, and a premium Disc Jockey from Rock & Roll Express Entertainment Company. We also feature a full commercial kitchen and kitchen staff. We offer a very comprehensive catering menu featuring many chef created dishes that you and your guests will love. Our professional catering staff is in uniform, friendly, and eager to take care of every detail. 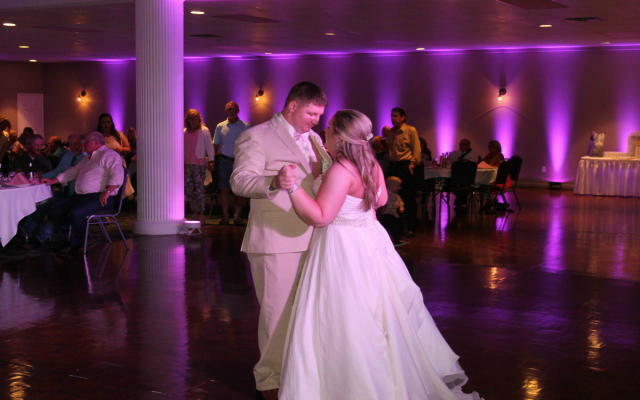 We are your “Best Day Ever” event venue and we do all of this with your budget in mind. We would love for you to come tour our facility and to talk more about making your day perfect here at Ten Fifty Eight!